Photo Credit: Merrel D. Booker, Jr.
RSVP is required and requested by Wednesday, April 4, 2018. Registration information will be available soon. For more information, please email chaplaincy@tufts.edu. This year’s lecture will be given by The Reverend Dr. Thandeka, a Unitarian Universalist minister, theologian, author, and public speaker, who is currently Affect Theologian in Residence at Andover Newton Theological School. Thandeka is the founder of Contemporary Affect Theology, which seeks to warm and elevate the human heart and soul and inspire people to stand strong on the side of love. She is the creator of an initiative that engages religious and secular communities through this approach to revitalize themselves and our country. She holds a Ph.D. from Claremont Graduate University, and she was given the !Xhosa name Thandeka, which means “Beloved,” by Archbishop Desmond Tutu in 1984. Her website is revthandeka.org. Sponsored by the Tufts University Chaplaincy. Thandeka is the creator of the Love Beyond Belief™ initiative for progressive congregations and the founder of Contemporary Affect Theology, which is designed to explain emotional development in religious settings and terms. Her new book, Love Beyond Belief: Finding the Access Point to Spiritual Awareness, will be published by Polebridge Press in 2018. Thandeka, Affect Theologian in Residence at Andover Newton Theological School, is author of The Embodied Self: Friedrich Schleiermacher’s Solution to Kant’s Problem of the Empirical Self (1995) and Learning to Be White: Money, Race, and God in America (1999, German edition 2009). Her essays include work in The Oxford University Handbook on Feminist Theology and Globalization (2011), and The Cambridge Companion to Schleiermacher (2005). 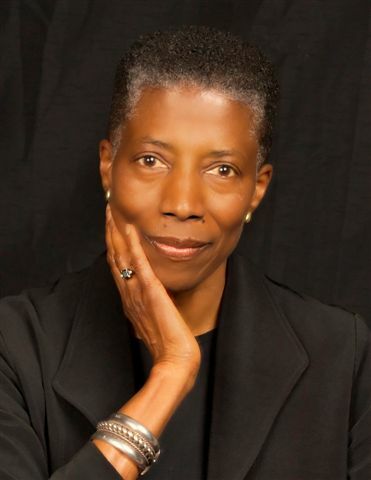 Her books and essays have helped secure her place as a “major figure in American liberal theology,” as Gary Dorrien notes in The Making of American Liberal Theology: Crisis, Irony, and Postmodernity, 1950-2005 (John Knox Press, 2006). Jaak Panksepp, the founder of affective neuroscience, commends Thandeka’s “decisive historical-philosophical analysis” as work that can provide “a universal substrate for nondenominational religious experience” (The Archeology of the Mind, 391). Thandeka received her Ph.D. in philosophy of religion and theology from Claremont Graduate University. She was given the !Xhosa name Thandeka, which means “Beloved,” by Archbishop Desmond Tutu in 1984. She is an ordained Unitarian Universalist minister and congregational consultant, and an Emmy award-winning television producer. Thandeka has taught at Andover Newton Theological School, Harvard Divinity School, Lancaster Theological Seminary, Meadville Lombard Theological School, Williams College, and she was a Fellow at Stanford University’s Humanities Center. Her website address is revthandeka.org. To learn more about past Russell Lectures on Spiritual Life, please visit here.